Hi! I'm Susan Moore of Solo Trips and Tips travel blog. 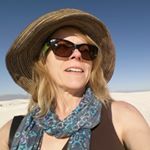 In 2014 I started my blog to help give other people, particularly women, some inspiration and boost their confidence to go out and travel on their own. Traveling on my own provided me with the confidence to start my own bookkeeping business which I still operate on a part-time basis while I'm traveling. In September 2015 I decided to become a digital nomad. I'm currently in year four of a long-term road trip around the USA and Canada. My travel style is somewhat on the adventurous side. I enjoy hiking on my own or with others, canoeing, kayaking, and I'm open to trying new experiences.